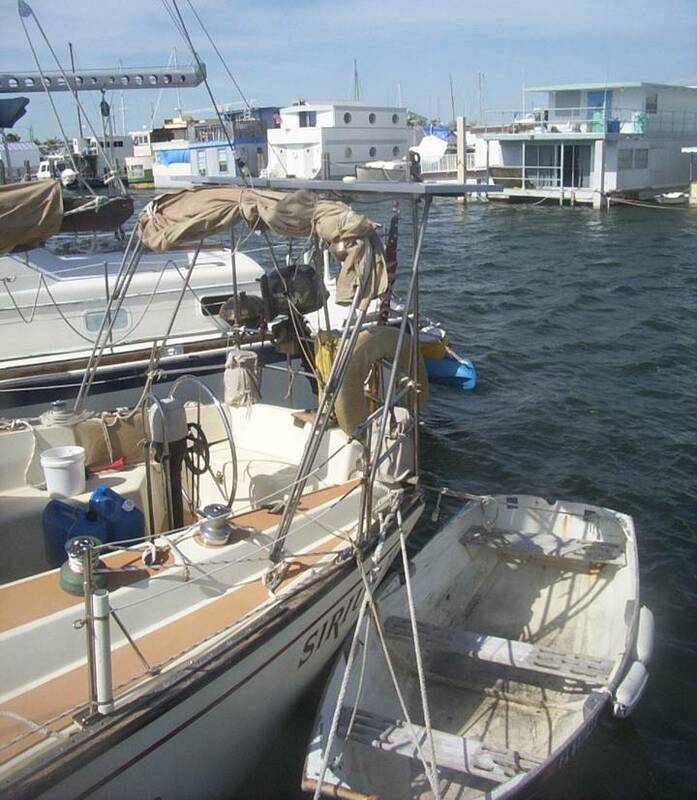 Photo One: Over the cockpit of the Sirius II toward the stern of the Rejoyce (white with round windows) before Wilma. The houseboat two slips to the right is already aground, from Hurricane Katrina. 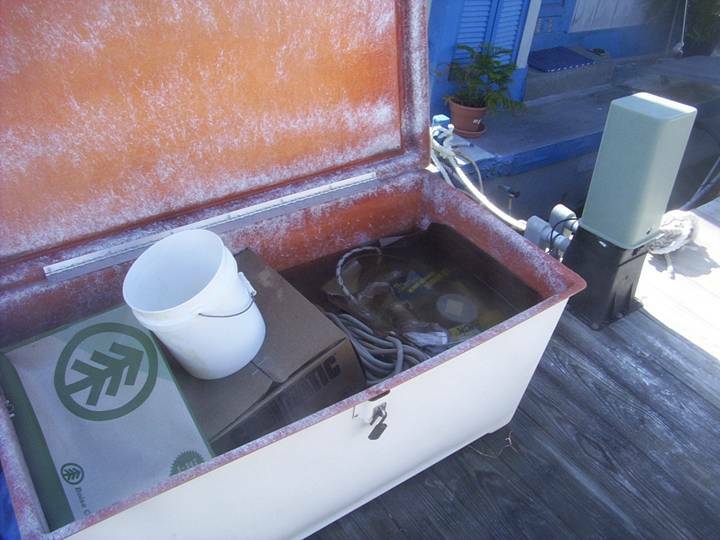 Photo Two: My dock box with bailing bucket, one day after the tidal surge. 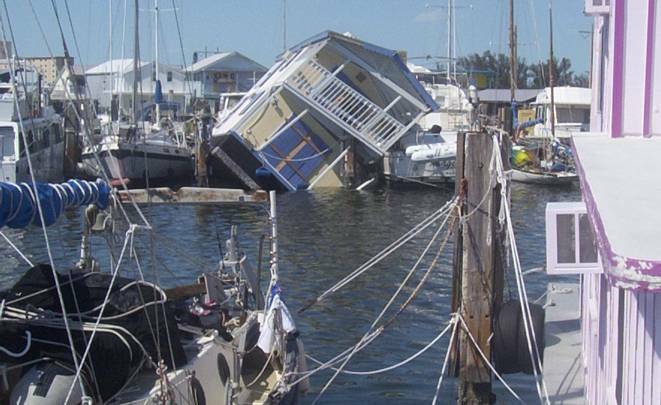 Photo Three: Houseboat on adjacent pier, toppled over on top of luxury powerboat. 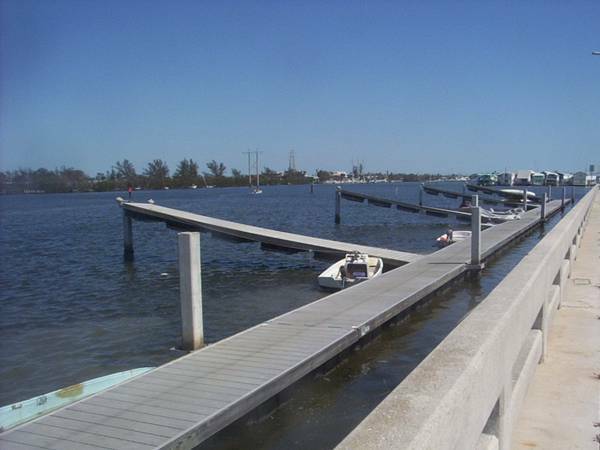 Photo Four: Garrison Bight dinghy dock, with finger piers left high and dry atop of their pilings. 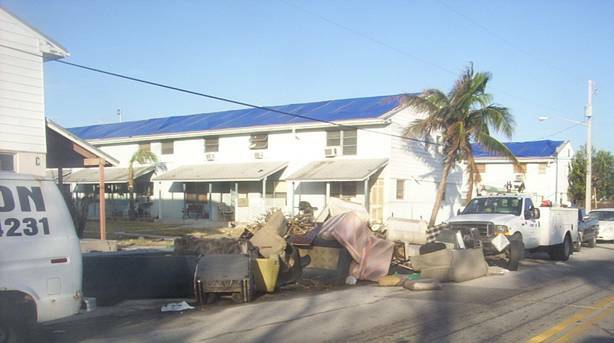 Photo Five: Water-soaked furniture from one of the hundreds of homes in Key West piled in the street awaiting pickup. Note blue tarp covering blown-away roofs.